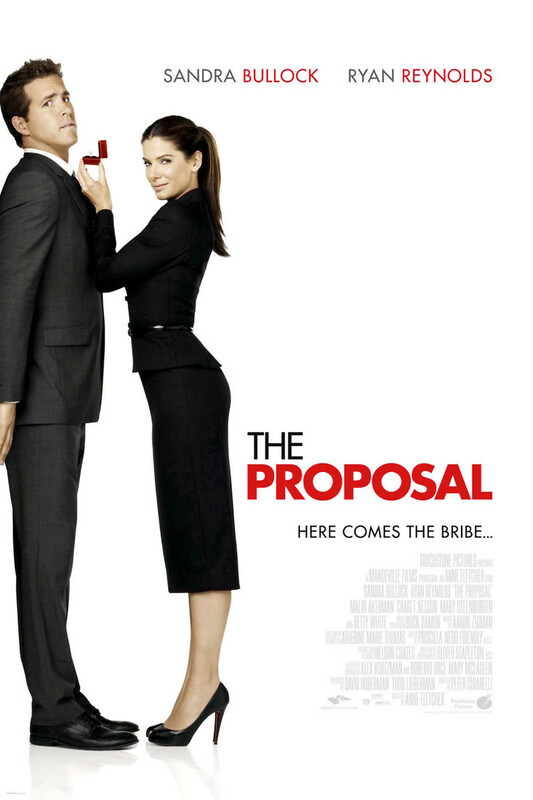 Sandra Bullock and Ryan Reynolds star in the romantic comedy "The Proposal," in which a mean-spirited Type-A boss strong-arms her long-suffering assistant into pretending they are engaged so that she can avoid deportation to Canada. This ruse is inconveniently timed, since it coincides with the 90th birthday celebration for his beloved grandmother in his Alaskan hometown, but the two take the trip together and learn to love each other for real. While this Bullock character is less likable initially, the movie has parallels with her previous movie "While You Were Sleeping" in that both find her falling in love with the family of a man she's pretending to be engaged to. The redemptive comedy features gorgeous Alaskan scenery and plenty of humorous and feel-good moments.